Sean Lim is an Associate Professor and Honorary Consultant in Haematological Oncology at the Centre for Cancer Immunology. 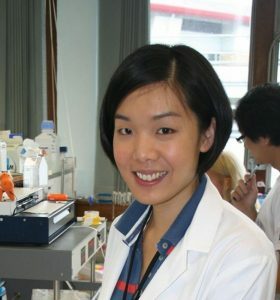 Her position is funded by a Cancer Research UK Advanced Clinician Scientist Fellowship, which enables her to uniquely bridge the divide between laboratory and clinic. 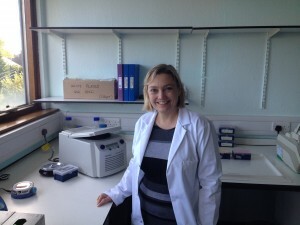 This International Women’s Day (8th March) she tells us why she has dedicated her career to cancer immunotherapy research and what she thinks the future has in store for the field. Professors Sally Ward and Raimund Ober have joined the Centre from Texas AM University. Here, the explain that it was Southampton’s history of cancer immunology research and its unique transaltional approach that inspired them to move back to the UK. Professor Jacek Brodzki is Professor of Pure Mathematics at the University of Southampton and has recently embarked on a year-long sabbatical fellowship at the Centre for Cancer Immunology. 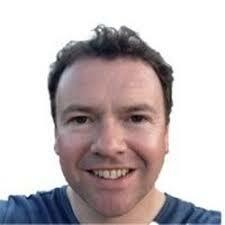 Here, he talks about how maths and immunology can enhance each other and what benefit that has on scientific research. 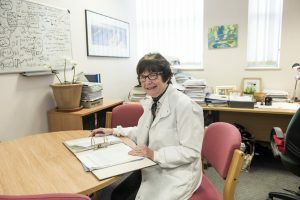 Professor Freda Stevenson, a world-leading immunologist at the University of Southampton, has been at the forefront of cancer immunology research for over 40 years. 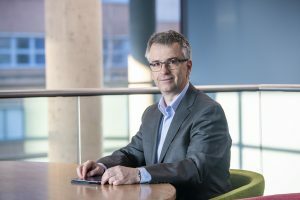 Professor Stevenson has led, shaped and continues to pioneer groundbreaking research in understanding how to engage the immune system in the fight against lymphoma, for which the University is now widely recognised. 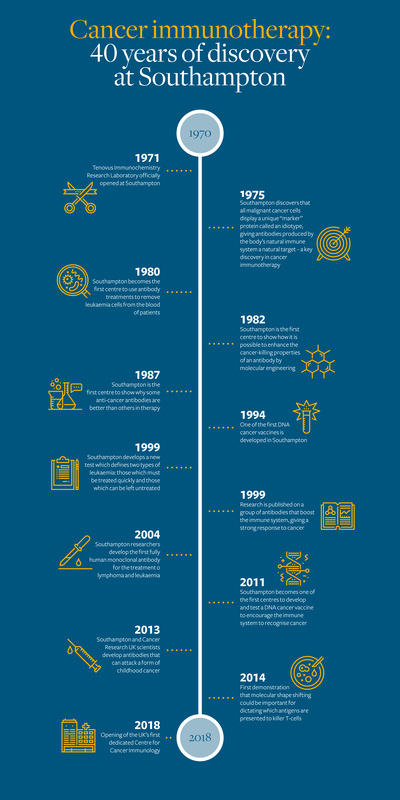 Learn about her incredible career, developments in cancer immunology research and how she believes immunotherapy is changing the face of cancer treatment. 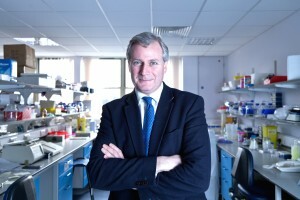 Max Crispin, Professor of Glycobiology and an Associate Member of the Centre for Cancer Immunology, answers key questions on breast cancer, explaining why it is on the rise, how immunotherapy is offering new hope to patients and the focus of his pioneering research at the University of Southampton. 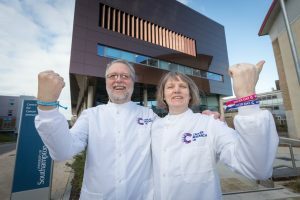 Professor Peter Johnson, Professor of Oncology at Southampton and Chief Clinician at Cancer Research UK, is championing the Campaign for a Centre for Cancer Immunology. Here, he talks about the background to the campaign and why immunology holds the cure for some cancers. Sadly, more than 10 children are diagnosed with cancer in the UK every day, with one of the most common childhood cancers being neuroblastoma; a childhood cancer that originates from developing nerve cells. Dr Juliet Gray, Associate Professor in Paediatric Oncology at the University, is leading new UK immunotherapy studies on neuroblastoma. Read her full interview and find out how our ground-breaking immunotherapy trials are giving new hope to these children and their families. 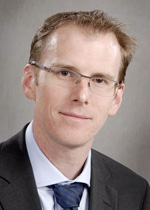 Dr Matthew Wheater, Consultant Medical Oncologist at University Hospital Southampton talks about melanoma – what it is and how cancer immunotherapy is saving more lives from this disease. 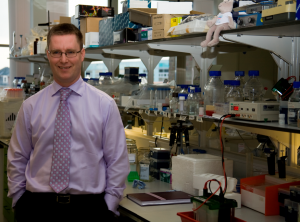 Dr Simon Crabb, Associate Professor in Medical Oncology at the University of Southampton, answers key questions on prostate cancer and explains more about the immunotherapy research taking place around prostate cancer in Southampton and the hope for the future. 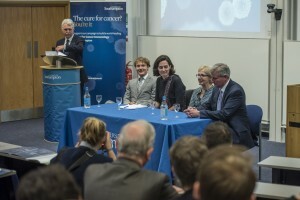 Watch our unique video footage of our specialist panel (consisting of Professor Peter Johnson, Fiona Dalton, Professor Dame Jessica Corner and Tom Worthen) answering key questions on cancer immunology and how the new Centre at Southampton will capitalise on recent exciting breakthroughs. Click on the below image to watch.